Although there's a lot of food on offer, I always choose to eat satay. 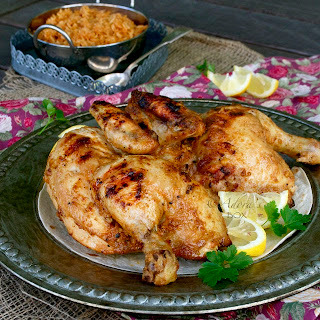 It is so delicious and, to me, it embodies all the flavours that I like in Malaysian cuisine. It is highly aromatic, spicy, and sweet. We leave it to the locals to choose the best one in town. I haven't been to Malaysia in so many years now. I miss the satays with all the accompaniments: the cucumber chunks, the onion wedges and the compressed rice cubes. Most of all I miss the satay sauce for dipping them into. 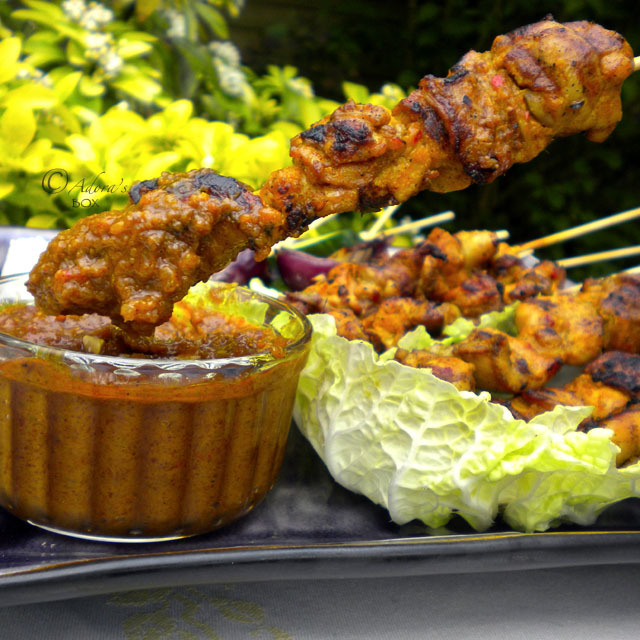 I can never have enough of the delicious, spicy sweet peanut sauce that makes satay what it is. Today, I ventured to recreate the satay experience for my family. My attempt probably wasn't bad at all because everyone enjoyed it. Even my Malaysian husband gave it a nod of approval. Roughly chop the onions, garlic, ginger, chilli and lemon grass. Grind the cumin seeds in a mortar and pestle or coffee grinder. I always use whole cumin seeds because it has a fresher, zestier taste than the ready ground cumin. Cut the chicken into 1" x 1" cubes. Season with 1/3 cup of the spice paste and 2 tbsps. of light soy sauce. Set aside to marinate for at least 30 minutes. Thread four pieces in each bamboo skewer. 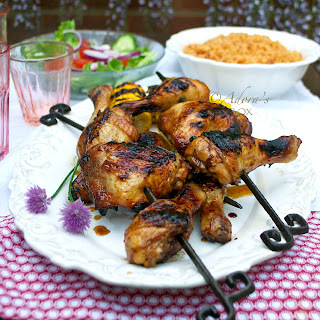 Drizzle with oil before grilling on the barbecue. Heat up hot pan or wok and add the oil. When the oil is hot enough, add in the spice paste, shrimp or anchovy paste and sugar. Turn the heat down and fry the paste mixture, stirring occasionally. It is ready when it is reduced and thickened and exudes oil. Add the coconut milk and water and simmer for 10 minutes. Add the peanuts and simmer for another 5 minutes. Check the seasonings. The sauce should be thick enough to cling to whatever is dipped in it. You may add some water if it gets too thick. Compressed rice or ketupat is rice cooked in woven leaf baskets. They are cooked for quite some time so that the grains expand, stick together and gets compressed in the baskets. They come out in whole square blocks which are then cut into cubes for dipping in the sauce. To simplify things, I just pressed cooked rice into little round ice cube molds (oil them first). I find raw onions too strong tasting so I grilled them briefly. Everything gets dipped in the sauce. My favourite is the cucumber. The coolness of the cucumber just goes so well with the spicy sauce. Your satay looks like some of the best I've ever seen. I am saving this one, I want to make it as soon as I can get my hands on all the ingredients! 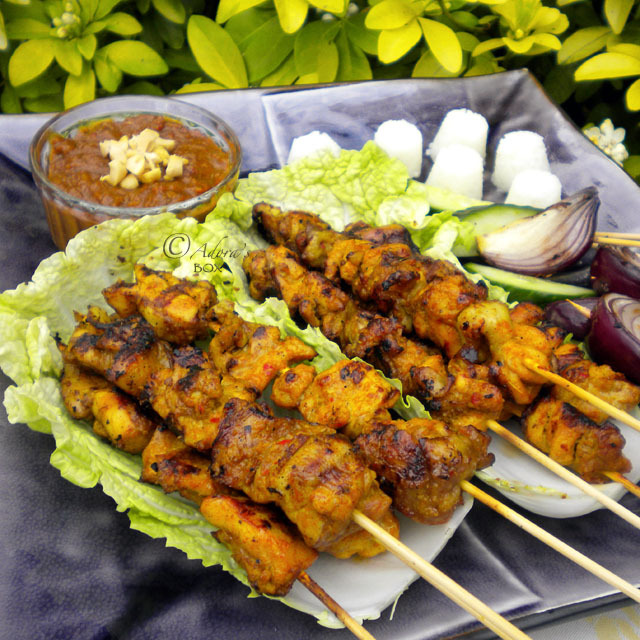 A few years ago, my husband went to Malaysia on business and he raved about the satays. I can just imagine how good your dish tasted. YUM!!! 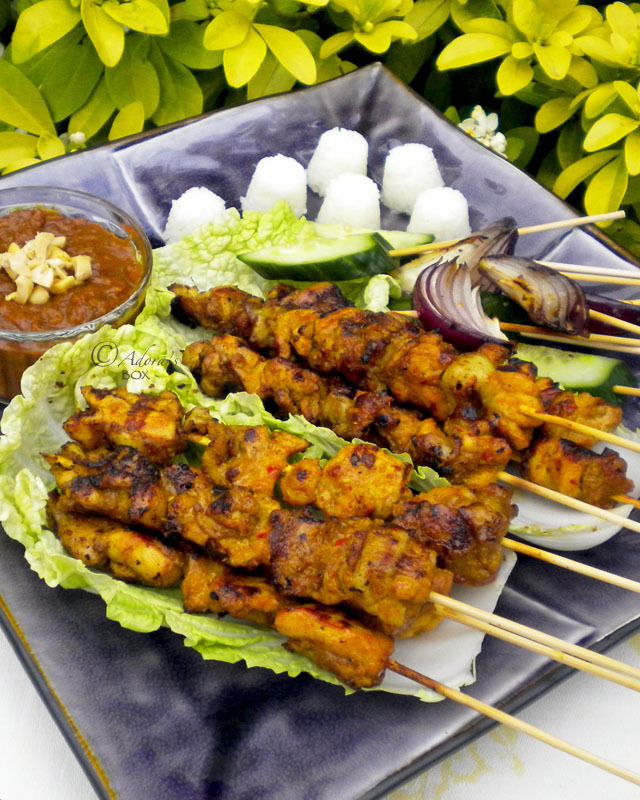 Satay is one of my favorite things in the world! You paint such a lovely and vivid picture of eating satay in Malaysian. I hope you get to return soon. Yours look mouthwatering, thanks for sharing! I love satay. You did a wonderful. job. This is definitely on my list to try out....the flavors packed in here look amazing. This is a recipe I will try for sure. Delicious!! 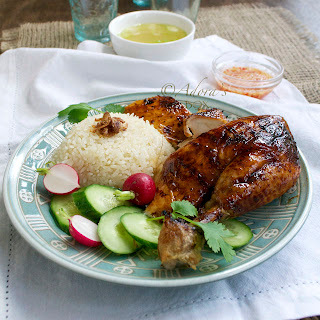 I like satay chicken but I just never thought of making it on my own (which means I'm always eating at a restaurant). Now I feel like I have no excuse to make at home thanks to your recipe! 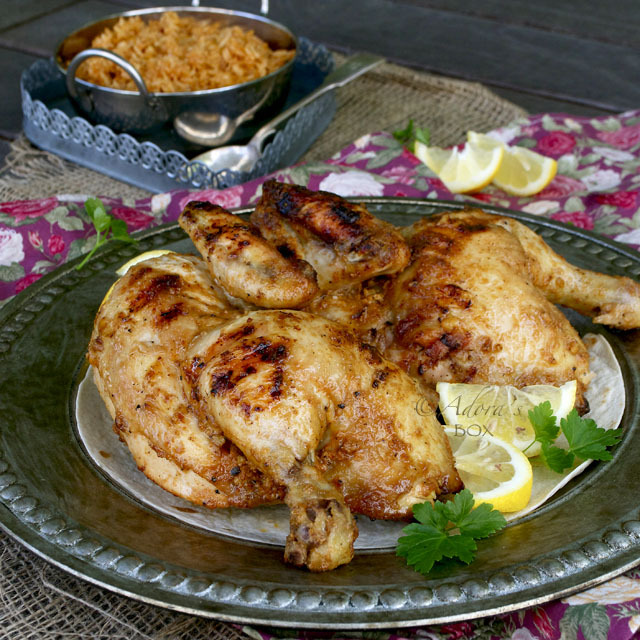 It's so great people like you are sharing this recipe (meaning I know this IS good). I'm so excited to try. Great looking chicken! i wish I had smell - o- internet! I am saving this one to give it a try! It's a good thing I've already eaten dinner or I'd probably be headed into the kitchen to give these a try. Wow, they look fantastic. I'm not even a fan of peanut sauce and you make me want to try yours! Thanks for sharing such wonderful recipes!